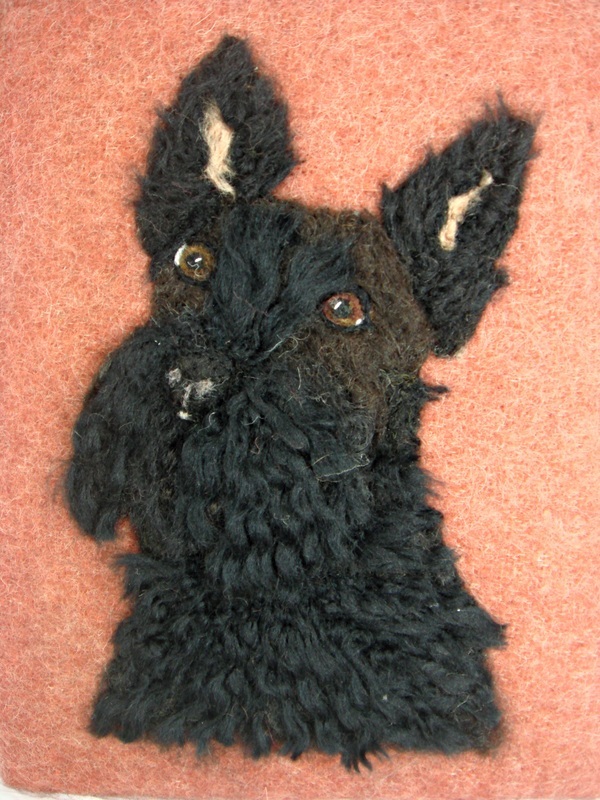 DESCRIPTION: This is the third of my upcoming series of "Black and White Dog Portraits" This is an adorable Scottish Terrier or "Scottie". 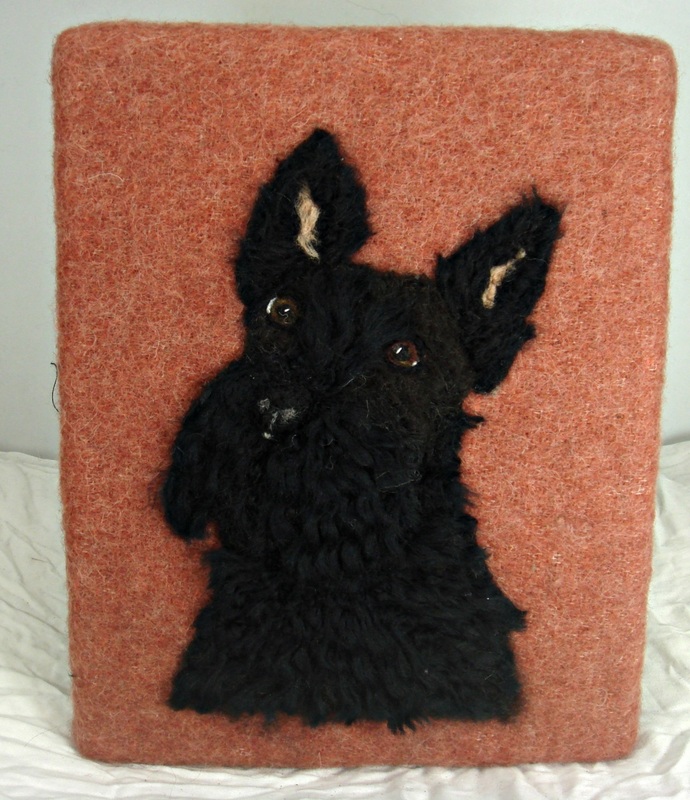 It is needle felted and mounted on a stretcher frame with a black felt back. It measures "5 X 7". 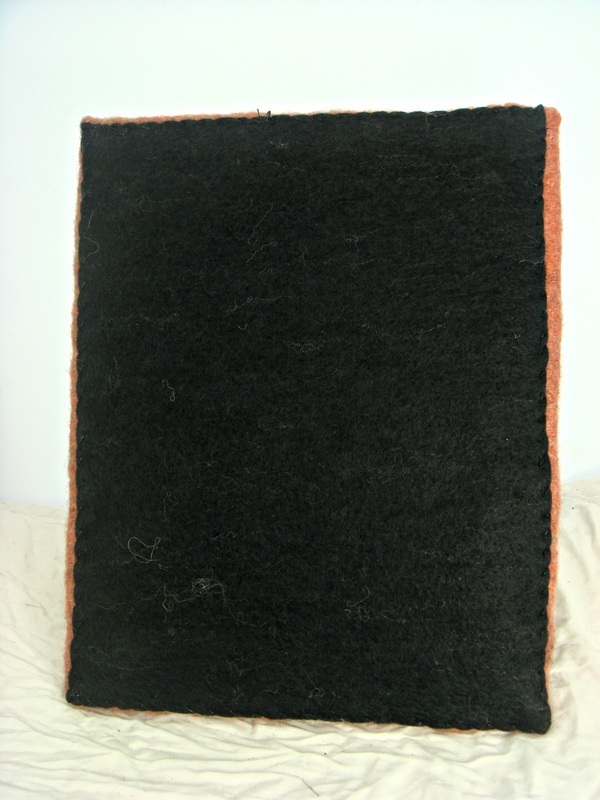 You can mount in many ways--as is or with a mat/and frame. You can also order a custom portrait of your favorite pet! !